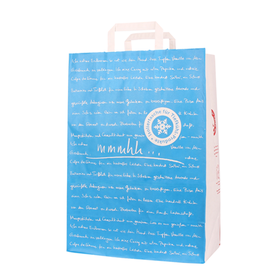 Flat Handled Insulating Paper Bags 320x450+170mm "mmmhh"
Kraft paper isolating bags ensure a safe transportation of your cooled or heated goods. 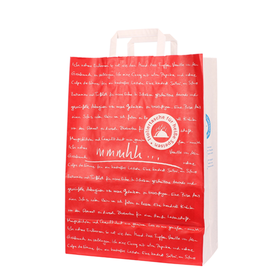 An aluminum interlayer prevents the heat exchange with the environment and keeps your products longer fresh. 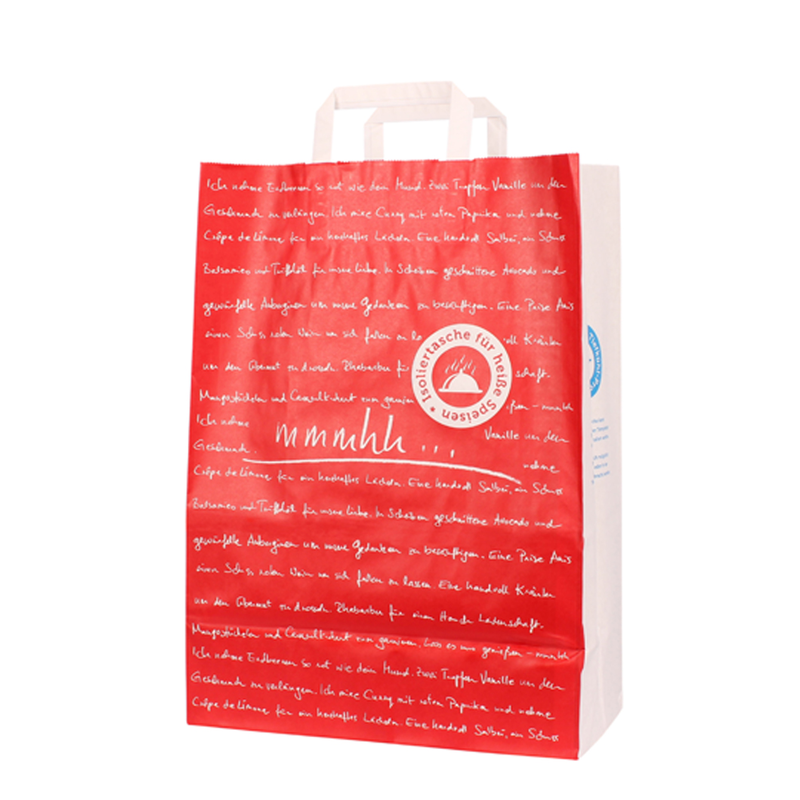 Whether in the butcher shop, the weekly market or the supermarket with our paper bags with flat handle you have a galant way of transportation & make the right choice. Do you want flexo-printing with up to 4/4 colours or photo print? Have any questions regarding printing, assembly, material composition, product application or simply looking for an offer? Write us an email. Flat Handled Kraft Paper Bags "Frischer Spargel"